Yvonne joined the CTI Team in 2008 as a Realtor® licensed in Virginia. 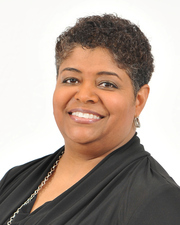 In 2013, Yvonne expanded her service area obtaining a Maryland real estate license. Yvonne’s service area spans from Richmond to Baltimore. She has lived in the DMV area for more than 18 years. Rely on her experience for your housing needs. A former Marine Corps Public Affairs Specialist, Yvonne brings 20 years of communication and customer service experience to every transaction. She specializes in delivering professional real estate sales, leasing and relocation services with a personal touch. Her professional associations include active membership in the National Association of Realtors, Prince William Association of Realtors, Fredericksburg Area Association of Realtors, Chamber of Commerce, Women Marines Association and the Marine Corps Combat Correspondents Association.